At Hamilton Road Animal Hospital, we treat your pets as if they were our own. Whether you are a new client of ours, or you have been a part of our community for years, we want you to feel comfortable entrusting your pets to our care. To that end, we wish to share helpful information about our team of veterinarians and veterinarian technicians and our veterinary practice's approach to animal wellness care. Read on to find out more about who we are. For our veterinarians, Columbus Ohio is the perfect base to serve the communities of Columbus, Whitehall, Bexley, Gahanna, Pickerington, and Reynoldsburg. Whether you found us by looking for "vets near you" or have been referred by a friend, we welcome you to the Hamilton Road Animal Hospital community. With over 34 years of experience, our head veterinarian, Dr. Michael Turley, got his start caring for farm animals and domestic pets, the practice today cares for cats, dogs, and other small animals. We are lucky to be joined by associate veterinarian Dr. Laurie B. Kennedy, a proud cat parent. Our veterinary staff on premises include office manager Erica Glass, who has been with us for nearly two decades, our veterinary technician Kim Roberts, and our head receptionist Heather Walden. We are also fortunate to have several helpful staff members, who may greet you in our office, work with your pets in our treatment area, or answer the phone to help you schedule an appointment. These additional staff members include Doraine Fisher, Terri Burton, Stephanie Saffle, Brittany Corder, Teddi Sharp, and Stephanie Larson. Erica Glass has been at Hamilton Road Animal Hospital for almost 19 years. She started as a receptionist then took over as Office Manager. She married to husband, Chip, and has two grown sons. She loves to cook and bake, and spending time at home taking care of her 2 dogs, Ash and Maggie and 2 turtles, Olaf and Kirkegard. Kim Roberts graduated from Columbus State Community College in 1997 with an Associate of Applied Science Degree in Veterinary Technology. She is a member of the Ohio Association of Veterinary Technicians. Kim has been working at the Hamilton Road Animal Hospital since then. In her spare time, she enjoys traveling and spending time with her four cats. 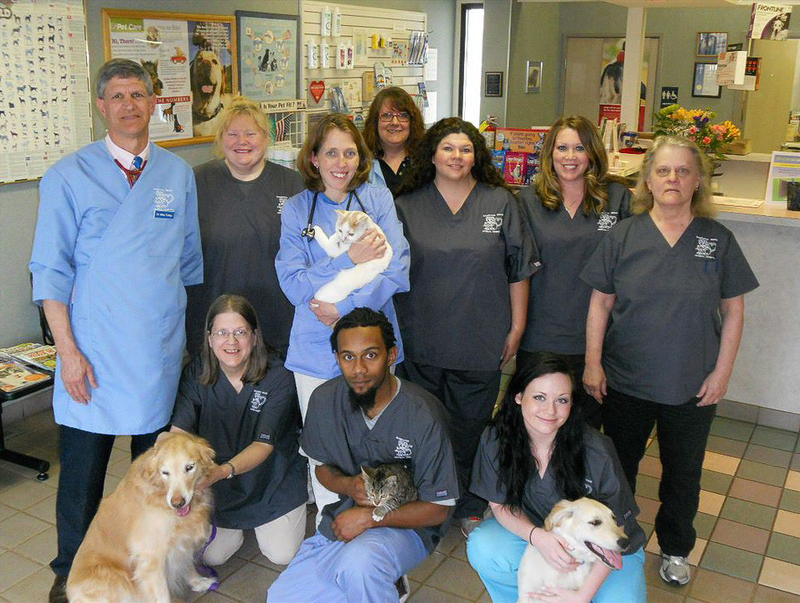 Doraine Fisher has been with Hamilton Road Animal Hospital since March, 1999. She graduated from Eastmoor High School in 1996 and Northwest Career Center from the Animal Management and Grooming Department. Doraine enjoys spending time with her husband and two boys. She also enjoys time with her four dogs and three cats. In her spare time, she pet sits, shops and tries to keep up with household duties. 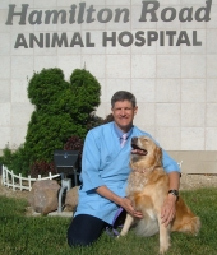 We at Hamilton Road Animal Hospital pride ourselves on providing the very best veterinary care for your pets. We strive to maintain a high level of knowledge and skills on our staff, so that we may utilize the latest advances in veterinary medicine to keep your pets healthy and happy. We have modern equipment that allows us to provide sophisticated care for cats, dogs, and other pets. Our animal medical center aims to provide needed services for all stages of your pet's life, from vaccinations and spay and neuter services to wellness care and emergency medical attention. We strive to make you feel comfortable whenever you visit our facility, while providing caring and professional pet wellness services. Is there any way that we can help you care for your pets? Whether you need to make an appointment or you wish to discuss a behavioral concern, we are here for you and your pets today. Do not hesitate to call the office at (614) 239-0027 with any concerns.